Living a Fit and Full Life: Keep Cool in the Office with the Ozeri Brezza II 10" High Velocity Desk Fan! 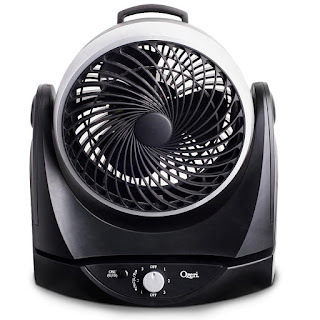 Keep Cool in the Office with the Ozeri Brezza II 10" High Velocity Desk Fan! The Ozeri Brezza II 10" Desk Fan delivers a cool breeze to you in both horizontal and vertical motions and with the lowest noise output in its class, all in one elegant package. With a push of a button, the quiet, dual oscillation delivers airflow from left to right and up and down. This two-pronged efficiency ensures the widest distribution of air and hot spot elimination, all in an ultra-quiet purr. If you choose the non-oscillating mode, you can adjust the Ozeri fan up to 90 degrees on its vertical axis. For even more control, you can choose from three speeds: cool breeze, refreshing wind, or powerful gust. 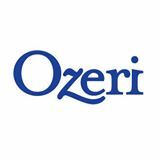 The small yet powerful Ozeri Brezza II 10" High Velocity Desk Fan comes with a convenient carrying handle and weighs only 6 pounds for easy transporting. Keep cool in the office with the Ozeri Brezza II 10" High Velocity Desk Fan! My husband has worked in a few different office settings over the years and one of his biggest complaints here in Arizona is how hot the office can get during the summer. Even with the AC on, it never seems to be cool enough. It's definitely starting to heat up here in Arizona so we thought we give the Ozeri Brezza II 10" High Velocity Desk Fan a test. My husband took it into the office a couple of weeks ago and loved having the air circulation and said it worked really well. He also said it was pretty quiet which is pretty important in an office setting. On about the third day of having the Ozeri Brezza II 10" High Velocity Desk Fan at the office he noticed a new guy who was sweating up a storm. His office was rather warm to begin with but it was also his first day so he was probably sweating due to being nervous as well. My husband insisted he use the fan and now that some time has gone by the guy still thanks him daily for helping him out on his first day. 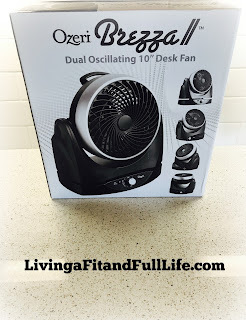 The Ozeri Brezza II 10" High Velocity Desk Fan is a terrific fan for the office, bedside table or any other area that needs a little cool air!